Around the world, soccer is known as “the beautiful game.” It is the biggest and most popular sport on the planet, and its signature event, the World Cup, is the most watched televised event, even more than the Olympics or the Super Bowl. The sport can be found almost everywhere in the world. From children on the playgrounds of modern cities to those in the remote fields of developing countries, the love of the simple act of kicking the ball back and forth has spanned generations. As a professional sport, soccer has exploded in Europe and South America, where the top athletes are among the highest paid in the world. In the U.S., soccer is much less popular, but Major League Soccer has become America's first successful professional league, where homegrown stars have the chance to shine. Each book in the Inside the World of Sports series takes you from the very beginning of a sport to a look at its future. 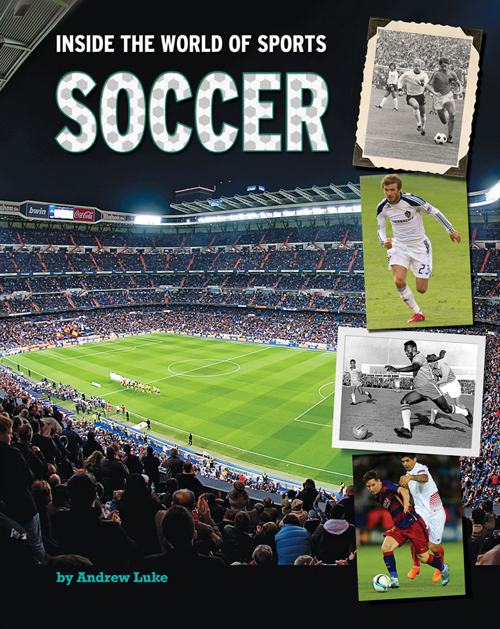 Inside these pages, learn more about soccer's greatest moments, iconic athletes, and what the future holds for the game.